So hi. 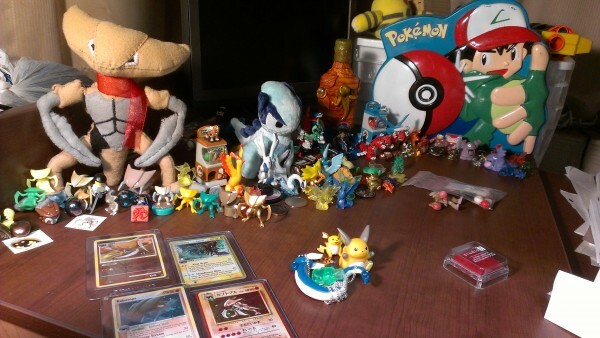 My name is Dolev I am a boy 16 years old that lives in Israel (if you want to read more about it please read my first post in livejournal), and I am here to be the master of pokemon collectors! I always LOVED pokemon always LOVED playing the games, watching the series and pretty much everything about it. Every time someone from my family flew somewhere they would bring me a KID figure by bandai. Thats the reason my collection (and only collection) is the kids one. I have something like 300 kids. My photo will be here soon as possible as I am moving to another house and for now live in a rented house, so the boxes are not even close to me. But I am here not only to make my kids collection bigger I am here to make a new collection! pokedolls, tomy figures these and among with others are few names I learnt by just surfing here and seeing things. People here love to write alot (I wish I could write that much, kind of jeaulos right now to be honest) but I really have a problem with that. So sorry for that and please help me get in your AMAZINGGGGG comunity. I am kind of nervous about... I dont know, maybe afraid of being rejected. Have a good day or night what ever your clock says! Hello, I'm Mitchi, 25 years old and hooked on pokemon like crack since I picked up Red version so many years ago. I've been lurking around, and I finally decided to pop in and introduce myself. 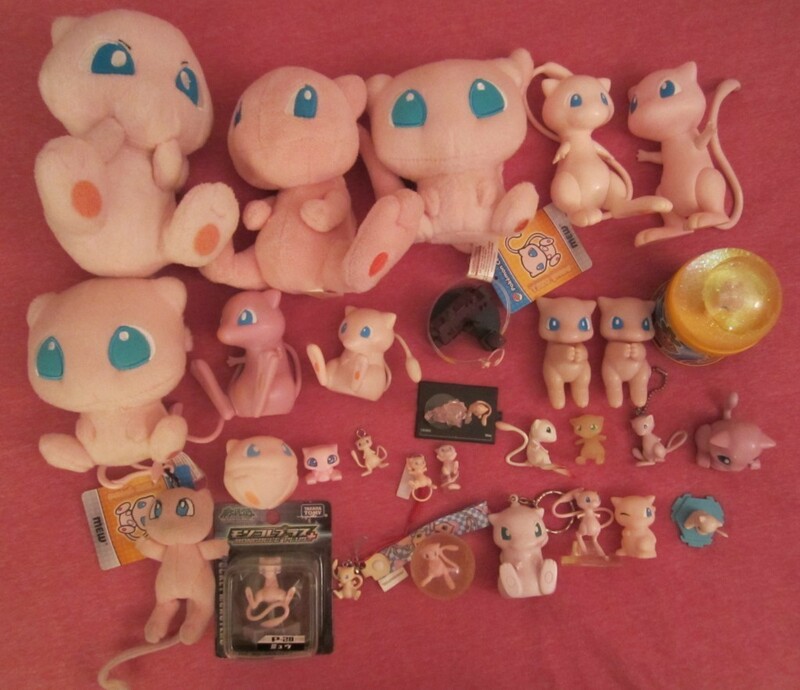 Main reason I haven't until now was that when I joined up, I was in the middle of moving and all of my pokestuff was packed. But now I'm at my new home and have some of my things. But y'all don't care about that. On to pictures! seven A.M., the usual MPC lineup! why is joltik dancing for joy? it's joltik MPC set!! yes, i have lots and lots of dragons in my apartment. we're a happy family, but it is time for them to go home now. my own blackie update will come...whenever i have some nice light and not a cloudy day. aw yeah!! I probably have the cheapest, tiniest, worst collection of anyone here. But alas. xD I collect for fun, for the things I like(at least now), and on and off. I usually never have money with me(I'm still a child, no way to get money usually,) so I don't buy things all that often and most of what I have was a gift or a cheap thrift store item. -sigh- So you really don't gotta waste time reading this if you've seen most of the common stuff. My name's Meta, and you can see my full introduction on my journal. I mostly collected cards when I was younger but I built up a /small/ collection of other stuff. Pokemon Card Game Tips and N want maybe! Hi all! I've been having some college blues lately, but what better way to feel better than talking to you all? So, here at my college we have a Pokemon club, where we play, watch, and talk about pokemon! Along those lines, we actually have card game tournaments and get REAL badges for defeating gym leaders! I'm excited. However, I haven't played the game legit since... fifth grade! And I'm a freshman in college. SO! Basically what I'm getting at, do any of you guys who play, whether for fun or competitively, have any tips to making a deck? Any stratagies in game, and some pointers/refreshers on how to play? You don't have to go through how to play step by step, but just some refresher and tips!! Along those lines, I've seen an N game matt once before on the comm, and I was wondering if anyone had one hey'd be willing to sell? Not sure if I can purchase at the moment but it doesn't hurt to inquire! Thanks! If this post is too irrelevant or isn't allowed I'll delete it. Thanks! Hope you enjoyed reading the post! I'd probably do a collection update in my next post. Have a good week ahead! Come one, come all, to the fantastically-cute GA co-hosted by me, with the main host being miss10 who received sales permission from entirelycliched on April 2nd, 2012. This lot is one of allinia's lots! This auction ends on September 29th at 12:30 PM CST (Central Standard Time) - So, just a little over 3 days! miss10's feedback can be found here. I will be taking care of the threads/spreadsheets, miss10 will be taking care of the bidding/shipping. First off, I have a friend who will be visiting Japan soon :) Looks like he won't have time to search around for merch, and I'm not even sure if he'll be in the area to head to the Pokemon Center in Tokyo. So I figured that 7-11s would be convenient :D Although I'm not even sure how plentiful they are there, compared to North America. Either way, I'm curious as to what merch is sold in Japanese 7-11s? I think kids are sold here? Honestly I have no idea. I'm just guessing most candy treats, but I think there's some figures?